Punchy, active bass tone with German-built craftsmanship. Each Warwick Teambuilt Pro Series instrument is crafted in the same factory by Warwick's highly qualified staff under the direct supervision of the company's top master-builders. Each instrument is made with the combined love and experience of its team of qualified luthiers and accomplished master-builders. Available with standard selections of finishes, color choices and hardware color options, the Teambuilt Pro Series pricing is made comfortable, while still delivering German-built quality. 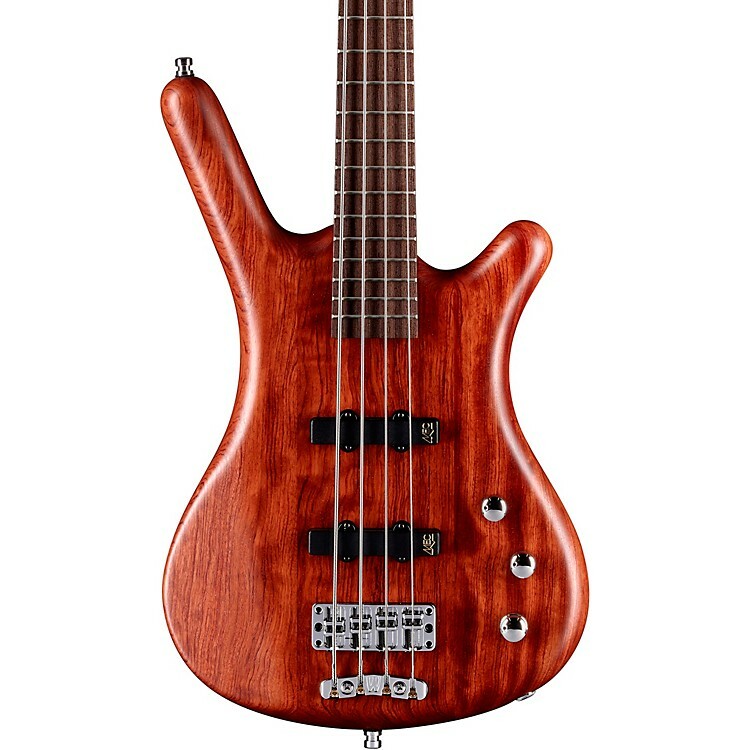 The Corvette Bubinga 4 is one of Warwick's most popular unique designs and one of the most desirable electric basses in the world. Its fluid, languid lines, its impeccable wood selection and its stunning finish make this an instrument that will instill a pride of ownership you've never experienced.